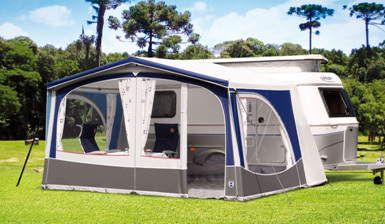 Leisure Vehicles offer awnings from Walker Campingstyle B.V. The awnings are manufactured in Holland to the highest standards using the best materials. Optional extras include zip-down window covers, porch extensions, annexe etc..
Groundsheets are available in special breathable fabrics.